▷ Best Ash blonde highlights 2019 ¡Photo ideas & step by step! 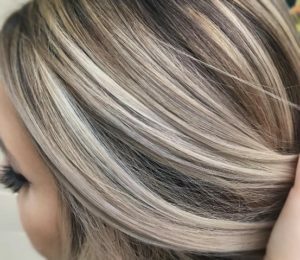 Before talking about this highlight, we need to let you know what ash blonde is exactly. Well, it is a light shade of blonde, like the ones you have always known, but with the twist of it having a grayish tint to it. It works the best with people who have lighter complexions and green, blue or gray eyes, but that does not mean that gorgeous dark skinned people can’t rock this hair color, it is only a matter of finding the shade of ash blonde hair that works the best for you. This color is the ultimate option if you want to have a change of look and are looking for a muted hair color in the end result. 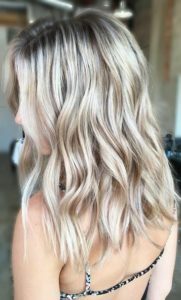 Blonde highlights will always be the go to look when it comes to hair changes of look and colors, with such a wide palette the color has a shade for everyone and while most of the shades of this vast palette are warm toned, we can find some cooler shades including the ash blonde –meaning that it has green or blue undertones-. Contrary to what most people believe, ash blonde highlights are not just for blonde or light hair. Ash blonde is actually such a light tone but it is not only for this specific hair color, being a cooler shade makes it match amazingly with other colors. 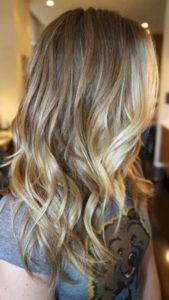 Ash blonde highlights, being a more muted version of normal blonde hair means that it does not require as much to upkeep and reduce your hair prep and care time. Ash blonde is a perfect risk to take if you want a statement change but you don’t really want to revolve around making sure the color has not deteriorated, taking care of redyeing it regularly or even if you don’t want to be going to the salon every other week. Maybe you already know it, but there are so many ways to apply your highlights that you could be standing next to a room full of people with highlights and none of you could have the same highlight style. Some people decide they want a big change in their looks and other decide they want soft and subtle changes that will make their hair stand out without a huge difference or feeling like a complete different person. If you decide you want a soft change, up next you can find the best techniques for that subtle change of look you’re looking for. 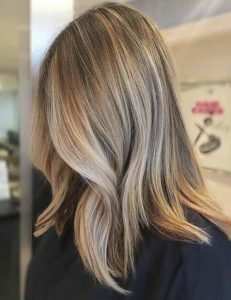 Once you have decided to do a soft change to your hair, baby or bronde (which is a mixture between ash blonde and ash brown) highlights are the ones for you. 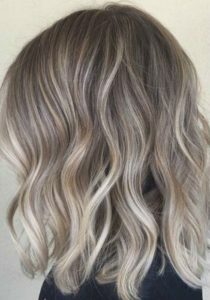 Baby ash blonde highlights are a style that will always be on style and a perfect idea for you if all you want to do is spice things up a little. 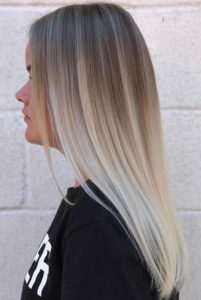 Baby highlights consist on adding just a hint of the highlight color to your hair so you have your highlights but you don’t really make a big change and can freshen up your hair style. 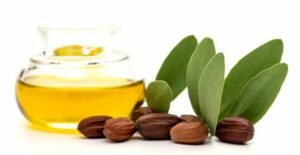 This technique is used mostly to add a tease to the hair and make it more beautiful finish to your hair giving it a natural look and not going all over the board with any extreme change. 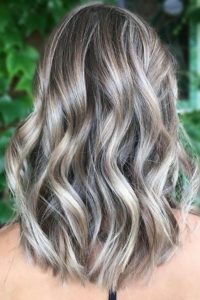 Soft ash highlights are a quite difficult technique as they have to be applied with such a delicacy and dedication, and it is pertinent for you to go to a salon or to your trusty stylist to apply this color on you so you can have the best results on your hair! This ash colored highlights can be applied with any type of technique you want or have seen on the internet. If you do not have any technique in mind; some ombré or balayage highlights. Although, sadly for those dark hair girls out there, this highlights only look natural and subtle in light hair such as blonde or light brown shades. Thin ashy highlights are quite subtle as the hair strands that are being dyed are so thin that they will be barely noticeable, especially if applied to light colored hair such as blonde, dirty blonde or light brown shades. This type of fine highlights is great for people with fine and straight hair as they will add texture and volume to your hair. 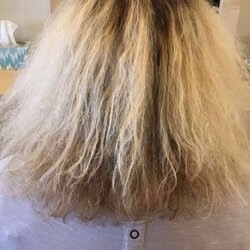 If you have frizzy hair this is no the look for you as it will make it more noticeable, but try with other looks ahead on this article! 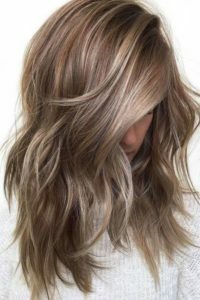 Ash blonde highlights are not off-limits for brunettes, quite contrary if applied the right way, ash blonde highlights can look amazing on medium dark hair. 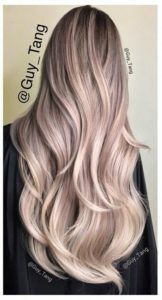 Conflicting to what most people believe, ash blonde is not just one lights shade of blonde it actually has a variety and can be fit for any hair color you can come to mind, although it can be a little more difficult as, yes it is a light color, but it can be used with darker hair colors like brown. Adding these blonde highlights to your medium brown hair will add contrast and depth and one way to add this to your hair is adding the ash blonde highlights with the balayage technique, meaning that the ash blonde will grow heavier at the lower parts of your hair with a seamless blend from your natural brown hair to your ash blonde highlights. 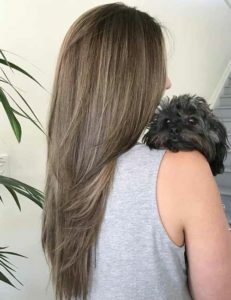 If you don’t like balayage you can also try the smoky brown technique, that is a twist from the white granny that had us all head over heels and giving it a twist to give it a complete justice, this look can also help you hide grays and give you a youthful look. Ash blonde highlights will look awesome with dark hair if you are looking for a big change of look. If you have black hair and want a big change of look, then ash blonde highlights are the perfect option for you! They are such a contrast from your naturally dark hair that it will make you stand out from the crowds and turn heads when you walk into a room. Applying them to your hair, we are not going to lie, can be a little tricky as you will need to decolorize your hair a decent amount before you can make it the ashy blonde highlights. 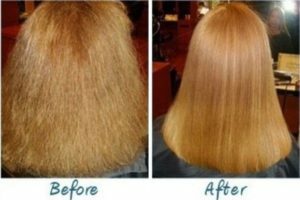 Be sure you are taking care of your hair while you are doing this, or that your stylist knows how to correctly take care of dyed hair before actually acting on your wishes so you are sure your hair it is not too damaged by the chemicals that are on the hair dye. There are some hair styles that will look superb with ash blonde highlights. One of them is to just try dirt ash blonde color, that will give you a dirt ash finish, and maintaining it will be really easy and look amazingly, this can also work with a balayage technique. Deep rooted icy ash blonde highlights are such a good look, adding a good contrast to your hair bot in color and in tone as the highlights are going to be a cool shade and most of the hair colors are naturally warm colored, the idea of it is to go adding strength to the tint of the dye the closer you get to the tips, kind of like a balayage. Once you have applied your beautiful ash blonde highlights, or if you have had them for a time now and are looking for a little extra something, the perfect idea could be to add a hint of color in your highlights for that extra wow effect in your hair, so people will talk about your fabulous hair and look up to having a look like yours thanks to the amazing style you have. 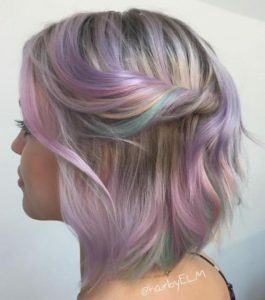 Adding the hint of color to your highlights can be as soft and subtle or as vibrant and strong as you want them to be, subtle colors can mean you adding just a pastel color, which we could say are the ashy version of colors. And if what you want is a vibrant color then you just have to think what color you want and add it to your hair. Just like that! By adding color to your ash blonde highlights you are not only adding an extra pop but it can also make you look younger, as bright colors are known to be used by the younger lads, you can rock them and take off of you some years. Or even if you are not wanting to do that, they will vitality to your face, and make you seem brighter and happier. 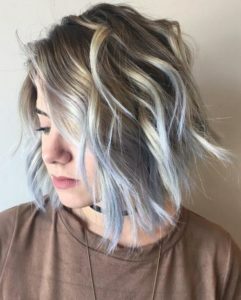 Fantasy colors are the ideal to do this kind of thing, they are going to add contrast with any hair color, and will look good with anything. Here is a beautiful ombré Guy Tang did, from brown hair to soft pastel pink and in the end ash blonde tips. Hair dyes used nowadays to dye our hair are not exactly known for being good to your hair, actually the can actually have some harmful side effects. For example, most of them have ammonia and peroxide, the former breaks through your hair and the latter bleaches out your natural pigment, stripping away its color. It can be revived, but to a certain extent do not expect to apply treatments and for it to be magically perfect in the next ten minutes. Once you dye your hair there is no turning back to virgin hair (Not dyed hair). And never skip applying your conditioner, this is an important step to keep your hair healthy and shiny.